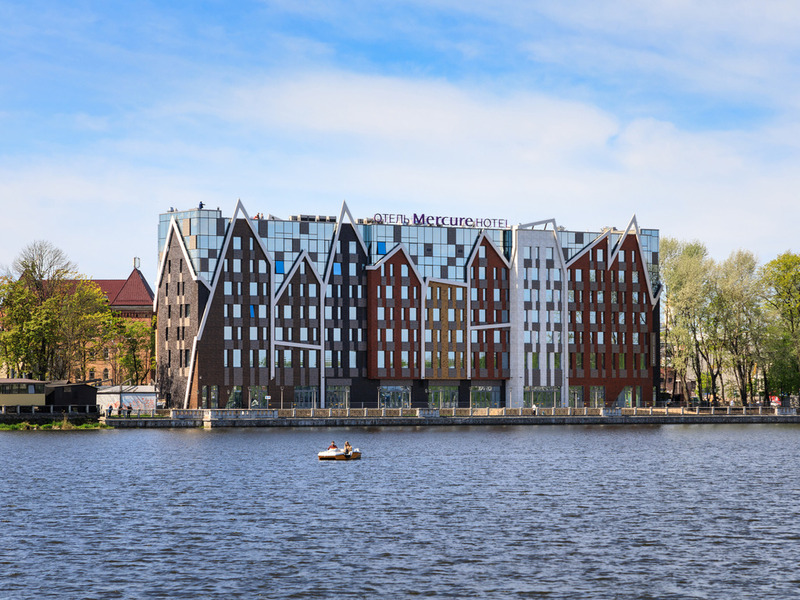 Mercure Kaliningrad is a modern 4-star design hotel located at the scenic Upper Pond, at the intersection of the historic Tragheim of Königsberg and the modern business centre. 167 Standard, Privilege, Junior Suite and Suite rooms create a cozy atmosphere inspired by the eclectic culture of the city, as well as Hoffmann and Tchaikovsky. The amenities include gym, sauna, hamam, parking, conference hall, lobby bar and Torro Grill Steak House. The Mercure Kaliningrad hotel is located on the picturesque embankments of the Upper Pond, 10 minutes from Victory Square and the historic city center. The hotel's excellent location makes it the ideal place for both work and leisure stays. The lobby bar is open 24 hours a day, 7 days a week. The relaxed atmosphere of the lobby bar creates the ideal setting for entertainment and relaxation. You can also enjoy our full range of dainty snacks and cocktails.